Happy April Everyone! I’m thrilled to be dipping my feet back in the water of joining some dear friends in a brand new monthly blog hop, thanks Chris and Raquelle for inviting me to join you in this new endeavor! We will hop on the first Monday of every month, and I know you will love these amazing cards and projects. Today we are featuring Mother’s Day or Feminine cards for you. 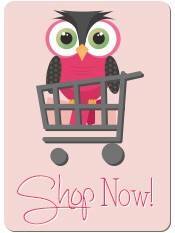 We have a different theme each month and will be featuring Stampin’ Up! products and special releases. There are several new stamp sets in our Occasions Catalog that lend themselves to this theme, and I choose the stunning set called Vibrant Vases (item # 148656 $17 US) this set is a match for the awesome Vases Builder Punch found in our Annual Catalog (but I didn’t use it on this card). Instead, I featured the Stitched Rectangles Framelits (item # 148551 $35 US) to create a “frame” for my whisper white base. To adhere to our theme, I looked through all my paper and I was inspired to use some of my All My Love Designer Series Paper (item #148576 $11)- you guys, it’s not just for Valentine’s! The color palette in this paper is what inspired my ink colors- Soft Seafoam and Flirty Flamingo! And the little floating shelf I made from the Be Mine Stitched Framelits (item# 148527 $35), again- not just for Valentine’s! My greeting came from the amazing Itty Bitty Greetings (item #146667 $36 clear mount, or I have this set in wood mount item #146664 $48) and I punched out the Mother’s Day greeting with the Classic Label punch, also from the Annual Catalog (item #141491 $18). I made this card to showcase the Vibrant Vases stamp set and let me tell you, any greeting would look amazing on this card, am I right? Who would you give it to? Well, that’s it for today, thank you so much for visiting me! Won’t you please leave me a comment? I’m trying to grow my readership here on WordPress, and your comments actually help my visability! Now just click the link below to head over to the other talented ladies in the hop! And scroll below if you want to learn about my new monthly special for my customers and team! I’m thrilled to have created a new collaboration with 12 other demonstrators! 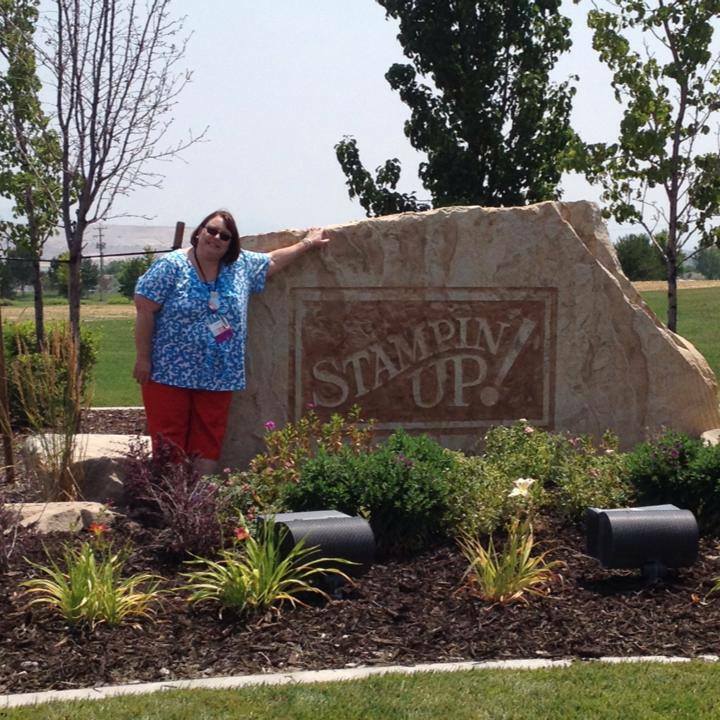 You guys, back in February when I was at a Leadership Conference that was organized by my Stampin’ Up! coach (Ronda Wade), I looked around the room and was amazed at the talent and success of so many wonderful ladies. I had been wanting to be a part of a co-op or collaborative to offer free tutorials to my customers but all of the ones I looked into were full (with waiting lists). So I had the great idea to create one. That’s right- by the end of the first night, I shared my idea with ladies I was sitting with, and before the weekend was over, we had a group of 13 demonstrators eager to take the plunge with me. We’ve worked really hard to come up with 13 unique and spring themed projects that we know you’ll enjoy! The best part of our Talented Tutorial Team- is we’re giving these tutorials away FREE to our customers and team members. I’ve already shared them with my downline and a few customers who had to order the new storage system the other day. You can get it for free by placing a minimum $40 order (before tax/shipping) from me during the month of April. Let me know if you have any questions! Thanks so much. Today also launches the fabulous Saleabration Coordination products!! These are available for purchase and they all coordinate with previously released Saleabration items! Genus!! I know lots of you who don’t like fussy cutting will love to get your hands on these dies. The punch may carry over into the next catalog. I hope you are all doing well, I appreciate all your thoughts and prayers and cards that you sent to me and my family, losing my dad suddenly on Valentine’s Day has been still quite a shock. I sit here in my prayer chair and I have so many friends and family I am praying for who’ve also lost love ones. In fact we are going to the funeral of our dear aunt tomorrow. Life is short, treasure your time with those you love. Hi friends, how are you doing today? I just had my quarterly rewards day for the top 4 in sales, and I also added promotions to this fun day! (anyone on my team who promotes to a new title will be invited to the next one, and so on). 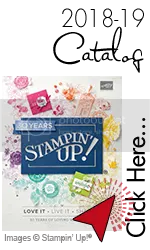 Congrats to Amye, Lisa, Tiffany, Diane and Kathy on all your hard work in your Stampin’ Up! businesses last quarter!! The girls arrived at noon and we enjoyed a delicious salad bar and macaroni and cheese bar for lunch. Shout out to my brother Scott, the chef, and my sister-in-law Kathy who helped me pull off this fabulous meal! We had lobster, bacon, chicken, broccoli, two extra cheeses, and peppers to mix in the macaroni and cheese! I like to find unique gifts to give them and for this Way to go day they each got a sparkly pen, bloom planner, and adorable teacup. Then we went upstairs to the craft room and we had four activities to create, everyone made a custom stamped piece of jewelry, with their perfect word. (Be Open, Laugh, Breathe, Patience and Joey were the words they picked). My word of the year for 2019 is Peace, loved making this fun bracelet. 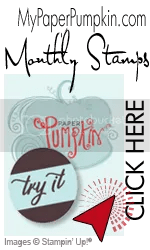 For the paper crafts (using all new Stampin’ Up! products from the Occasions and Saleabration Catalogs) we made a belly band for a Baker’s box, a hand stamped card, and we decorated around tin that we filled with round teabags. I was going with a tea theme, as you can probably tell, and I showed the girls how to master no line water coloring. This is a technique I am going to cover on my Facebook live event tomorrow at noon Eastern standard time, I hope you will tune in! The Bakers box is going to come in useful as they needed something to take home their delicious cookies in! As if that wasn’t fun enough, I had a big surprise for the girls and I hired a professional pastry chef, she is the new chef at Dolce and Biscotti in Clifton Park. (My friend Patty had her at an event in December and when I saw the photos on Facebook, I knew I wanted to do the same). Jennifer Gates is her name and she did a phenomenal job and taught us how to decorate shortbread cookies with royal icing. So much fun, thanks Jennifer!! Honestly this was so much fun and I can’t believe all the hard work Jennifer put into preparing for us…. she baked all the cookies and made the frosting in advance and taught us the art of cookie decorating. So much fun! ❤️ I had sent Jennifer a link to my blog and Facebook page and she found this cute owl cookie cutter and taught us how to decorate an owl cookie as well as the Valentines themed ones. Does this sound like fun to you? I would love to welcome you onto my team and I am here to help you grow your business and maybe you will earn one of my quarterly rewards days! I am always here to help. 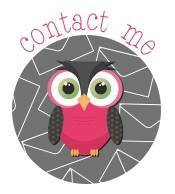 If you have any questions about any of the Stampin’ Up! pproducts I used, please let me know and I would be happy to share the item numbers or page numbers. I so appreciate you when you order from me, I am really grateful for your loyalty and support! Thank you so much for stopping by to visit my blog today! I hope you have a fabulous weekend. 2019 Occasions Catalog Ribbon and Paper Shares! Hello Friends! Back by popular request- my amazing Designer Series Paper and Ribbon Shares!! This offer is available to all who live in the USA. FREE Bonus: Receive Organdy Ribbon Combo Pack- (1 yard each of 5 colors). Payment must be received by January 2, 2019 as the order will be submitted on January 3 when the new Occasions Catalog launches. Cash, check or PayPal are accepted for payments. 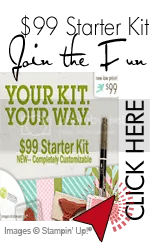 (or if you received a gift of a Stampin’ Up! Gift Certificate with my name on it as a gift this Christmas, that can be used on shares as well). You may send the payment to me via your PayPal account, please send as Friends and Family to my PayPal account email address is still: LStreifert@nycap.rr.com (I still need to convert that over). Shares will be available for local delivery around January 18-20, as it takes 10 days shipping from Utah, then we will cut and wrap all these products for you. If you would like to order a share(s) and need it shipped, please add $7.00 for priority shipping. As I am still in the process of switching email accounts, please contact me via email to order your share: Lynnzcrafters@gmail.com and to let me know how you would like to pay for your share. Thank you for your support! I just reordered boxes and baggies, and plan to package these items the same as I did for the Holiday catalog shares. I had a lovely Christmas with my family, and a nice long weekend, but back to work yesterday (yes- I do miss the vacation week all my teacher friends get). I was going through my blog posts and realized I never published a few that I had started before Christmas. Very worthy of sharing with you all, so here is a look at how I celebrated with my amazing Lynnzcrafters Team! For starters, when people arrive, they can put their “grab bag” (a handmade gift) under the tree- this is the game where “stealing” is encouraged! Everyone brought some yummy appetizers or dessert to share- forgot to take photos of the spread, but it was amazing, as always! Here are the 11 ladies who participated in the grab bag, and they are holding/wearing the gift they ended the game with… look at all those happy faces! We have papercrafters, knitters, wool-felters, jewelry makers, and painters amongst this group!! Seriously- best gifts EVER! And here are the 13 who were able to attend the team party, thanks to Kara for showing me how the timer function worked on my phone!! We also did a tag swap this year, everyone needs tags at Christmas time, right? Here are Kathy and MaryBeth with their tags. Laurie and Wendy with their tags. Diane, Kara and Sheila with their tags. And I forgot to take a picture of my tag, I’ll have to see if I can get a photo from someone who received my tag in the swap. Then we split into 3 groups for my stamping project/Make and Take. It is a 2019 Calendar. I featured a lot of new products in the 2019 Occasions and Saleabration catalogs. (I plan to post a close up of all 12 months in a separate post sometime next week). I put a box with 4 months at a time on each of the three tables, and rotated them about every 1/2 hour. Ladies helped each other to stamp and die cut their pieces. We played Christmas music on Pandora, and crafted away. (Boy from this angle you can see how messy my craft room is… I really need to find time to declutter). And here is a photo of my gift to each person on my team. I do still need to arrange pick up for those who couldn’t attend – (Sharon B. I will mail yours to you!) I’m so thankful to my friend Sariah who helped me order these amazing gifts for my team. I love drinking tea out of my new stainless steel travel mug- it stays warm for hours! I hope you’re enjoying your mugs ladies! When do you take down your Christmas decorations? I like to keep mine up until Martin Luther King weekend so I can enjoy the white lights, there is something soothing about it, don’t you think? My First Creative Christmas Crafty Retreat! Hi there friends, I wanted to share photos of my first retreat I held yesterday at the Elks club lodge in Ballston Lake, New York. Let me give you the backstory, part of the training program I have been a part of for almost 3 years, encourages us to hold a creative retreat. I wanted to see one in action before I tried it myself so back in August I went with my friend Elizabeth to go to Massachusetts to Selene Kempton’s retreat. I got a lot of great ideas and saw it in action, and while I was there everyone encouraged me to plan my own. With only one free Saturday on my calendar for the month of November I came home from Selene’s retreat eager to plan my first one. Everything came together and I feel so blessed. The day I had available was yesterday, Saturday, November 17, which was the 2nd anniversary of when my sweet mother went to heaven. I know she was with me and helped everything to go so smoothly. I first invited my team, I have 30 downline that was my starting point. I knew I only wanted to have 30 people at my first one. Not everyone could attend so then I opened it up to some great friends who I thought would enjoy attending an all day event like this. I had 25 people pre-register, and unfortunately one was sick the day of the event but we made her all the projects. I had these canvas tote bags made up as I wanted everyone to have something to take all their prizes in projects home in. Everyone received one package of the festive farmhouse Christmas DSP, the striped burlap ribbon, and a package of metallic pearls. My theme was farmhouse Christmas and I wanted everything to coordinate. When I was shopping on Amazon for the wood slice ornaments I even found a T-shirt to match my theme so I had to get it for myself. I don’t know if you can see in this photo but there is a fabric coaster for under their hot cocoa mug that I made, the Santa scissor charm I made with Shrinky dink material (I cased from Carol Hickman), the wood slice ornament I had help from my friends/team Kara and Laurie, and you can see all the Stampin’ Up! products that were included in this event as well as all eight projects we made. In the first two photos, the gift card holders, I modified these from the projects we made at Selenes’s retreat. I love the simple idea of decorating our gold striped bag, and our Kraft pillow boxes, I just used the farmhouse theme to spruce it up for my event. In the third picture, I would like to thank my friend and downline Amye Speirs for designing that card for me. The fourth photo, with the sled, I just cased the catalog. The fifth photo with the mini tea light lantern, I modified the tutorial from Allison Okamitsu, and her blog is called Nice People Stamp, she’s a wonderful demonstrator from Canada and her directions were perfect. I just changed the paper and ribbon to match my theme. The little joy stocking was from November 2017 paper pumpkin kit, unfortunately it’s sold out now but I bought a bunch back in September to use for this event. The last two photos showcase our beautiful mini gable boxes one is in silver and the other is a shimmery white. I just created these two designs using the farmhouse DSP & wanted this to be fun treat holders, I had candy on every table that people could take to fill their little boxes. I did not have very much money to spend on decorations after ordering all the supplies needed for these projects and the little goodie bags. So my wonderful sister-in-law Kathy loaned me all her farmhouse Decor so I could decorate the tables at check-in and where we ate our meals. We had a little hot cocoa station, I had a lending library set up where people could borrow my stamps, dies, and punches as well as the big shot set up. I rotated the projects to each table every half an hour so they could comfortably stay at their seat and I then returned all the projects to a table in the back if anybody arrived late and needed to go make their projects- they had the rest of the day to complete their projects. Everyone received one raffle ticket for attending the event, I also gave raffle tickets every time they finished five projects they brought to work on, I gave one raffle ticket for each $10 they purchased from me from my retired table or my adhesives, or a catalog order they placed with me. Then I had five bundles of wonderful product and they put the raffle tickets inside the bag of the items they hope to win. I also sold raffle tickets individually, or an arm length for $20. I drew the winners at about 8 PM, Kara won the Stamparatus, Jessica won the farmhouse Christmas bundle, Amye won the alpine snow Bundle, Jackie won the Snow is Glistening bundle, and Linda won the Winter Woods bundle. I used all the hostess rewards, and my commission on the sale of all the products I ordered for this event as the prizes. I have to say the food was delicious, and I’m so thankful to Mike Bloss from the Clifton Park Elks, what a fantastic job he did and we really enjoyed the spread for breakfast, lunch, and dinner. I only remembered to take pictures of the lunch buffet but the set up was the same. It was really nice to get up from our crafting table to go to the lunch table. It just warms my heart to see this room full of special ladies who came out and supported me with my first retreat, everyone shared an 8 foot table, and we had them all near the walls so they could plug in their lights or electronics. I had some ordering specials for my attendees, and will be placing their orders today. I also still need to unpack my car and now get ready for bingo next week. Just wanted to say thank you to everyone who attended, all my helpers, most especially my team for joining Lynnzcrafters and coming out to this event yesterday! Thank you for taking the time to read this blog post today, I would love to hear from you! What was your favorite project? Would you like to attend an event like this? This was a 12 hour day, we were open from 9 AM to 9 PM… Although we did close up a little early last night everyone was fatiguing myself included. Please leave me a comment, I am going to do a giveaway I have an extra canvas bag from this event and I will send it to one lucky winner who leaves a comment on this post by Wednesday 11/21 at 6 PM.